Being engaged in arrangement of the house, the person first of all thinks of comfort and safety of each family member. Especially carefully considered the issue of security in the construction of stairs leading into the house or interconnecting two floors of the building. How to install balusters on the stairs so that it was beautiful and the small child could not crawl between them? We will try to answer these questions in our article. 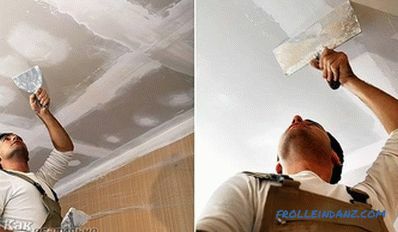 Consider all the details of the installation of products from different materials. 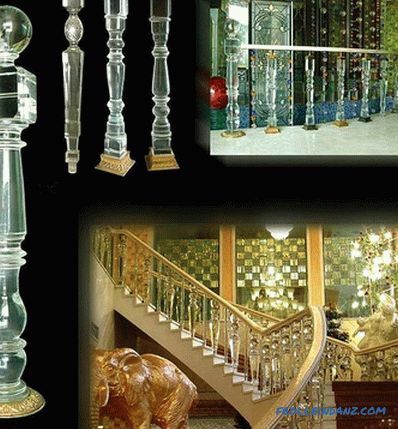 Glass balusters are cast in a seamless, reliable and highly artistic style. They are able to carry a large load. 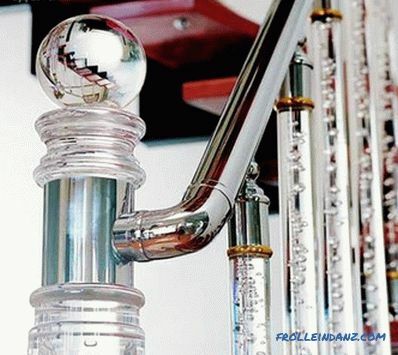 For casting balusters the most bizarre shapes choose crystal glass. Having decorated glass products with beautiful illumination, you will create the most unusual decorative elements. This will be a feature of your design. What happens in the end, depends only on your imagination and ability to translate ideas into reality. Wooden balusters make the best tree species. Perfectly fit into almost any interior products made of pine, beech, ash, strong oak and soft birch. Basically it is handmade, made to order. In addition to the warmth of this tree, baluster carries the warmth of the master's soul. Looking at wooden balusters without enthusiasm is impossible. These are the most bizarre forms, figures of animals, birds and fantastic creatures. Especially delighted with carved baluster kids. 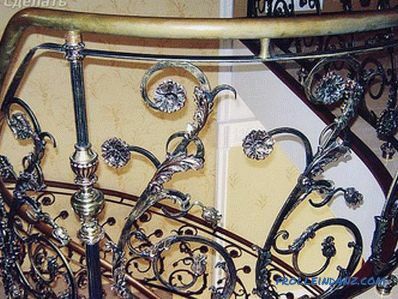 Metal balusters come in a wide variety of shapes from alloys of metal, steel, cast iron, or stately bronze. For the manufacture of balusters use a thick rod of different cross-section or a shaped tube. 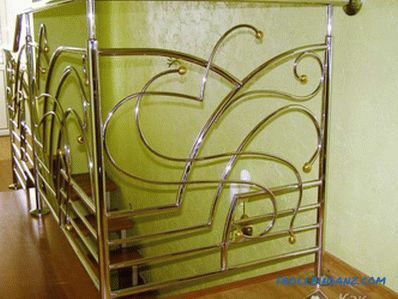 Metallic balusters, strict or even curved into a bizarre form, will serve you for a very long time. 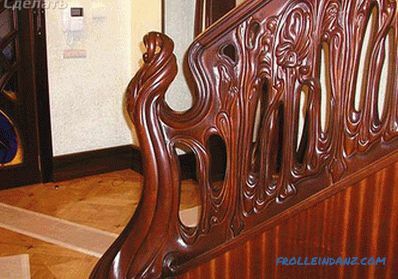 Forged balusters are able to surprise even the most capricious owner of the house. They are extremely durable, safe and fit easily into any interior style. It all depends on the wishes of the owner of the house. 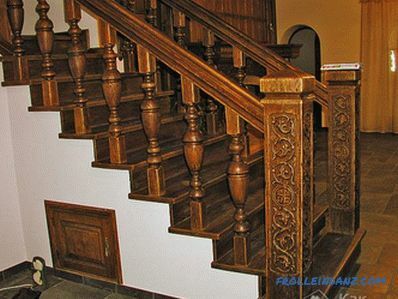 In modern constructions of staircases, the cross-sectional size of the baluster does not matter, because its main function is to decorate the appearance of structures connecting between two floors. Glass products can be completely different shapes and sizes, the choice of which depends on the overall design decision when designing the style of the room. For fastening glass balusters, you need fasteners specially made for this purpose from natural wood or good metal. To connect with the base used nozzles or hinges made of metal. The base itself is connected with the construction of the stairs with screws. If flat-shaped products are selected, they are secured with a sliding method. 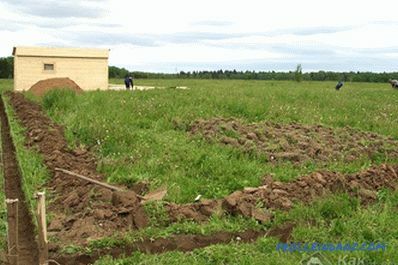 To do this, the step is 2 cm furrow. In it and push the glass flat baluster. 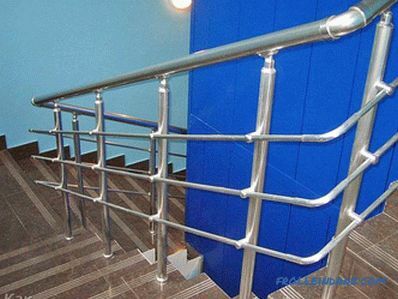 Balusters made of universal with unusual characteristics of building triplex provide safe operation of staircases. Beautiful transparent material has a multilayer structure consisting of silicate glass plates glued together with a polymer film. With a strong blow, it does not break, but only cracks appear. You will never have sharp splinters, even when the whole staircase structure collapses. Consider the design of the stairs. It consists of steps, railings and balusters. Each element has its components. The railing is a handrail connected to the plank. Handrail on top, and the bar is under it. For fastening the upper part of the baluster is used strap and screws. The bottom of the baluster is connected to the base. Such mounting balusters called vertical and it is most suitable for the installation of stair balconies. A side mount is used for staircases. Before you start installing wooden balusters, you need to examine their design. 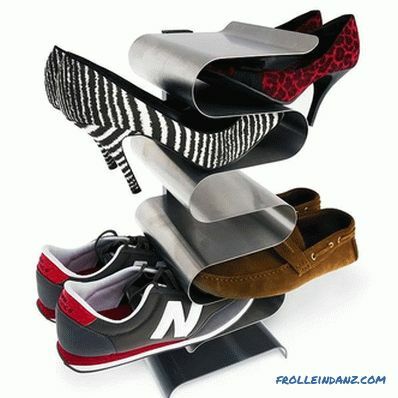 The product consists of a solid base (sole), the central figure and the upper support. Basis - the lower part is attached to the steps of the stair structure. 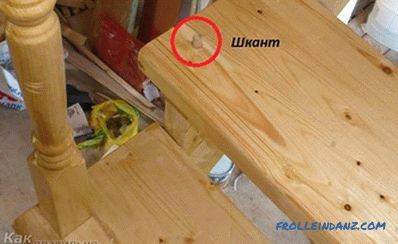 It should be reliable, there should not be any chips, cracks or knots in the wood. The central part looks the most sophisticated and beautiful, it is a decorative element and serves as a decoration for the whole stair construction.Because its processing will be carried out qualitatively, the general appearance of the entire structure depends. 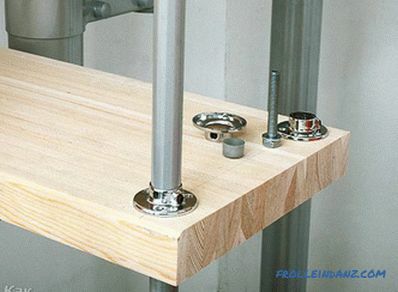 The product support is intended to connect the baluster with the railing. During installation, the balusters support is adjusted so that the connection is tight and perfect. Install balusters every 15 cm. For balusters use the type of tree that was selected for the stair structure. The use of two or more rocks violates the integrity of the structure and looks disharmonious. 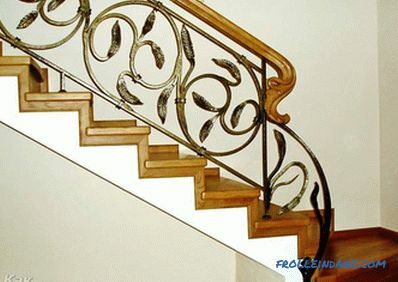 Fasteners of balusters to the base of the stairs. Forged balusters are connected to the general structure at two points - the railing and the staircase. Attachment points are installed by the manufacturer of balusters and are indicated in the enclosed instructions. The standard height of the support is made not lower than 80 cm and not higher than 100 cm that is convenient for movement. The distance between the individual elements of the fence on the open side of the stairs should not exceed 107 mm. 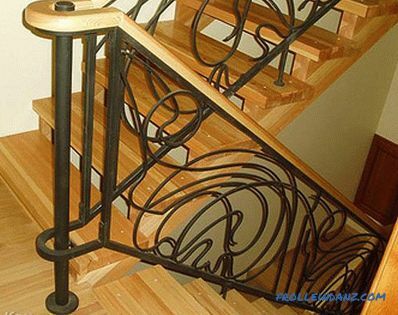 Between the step and the lower part of the wrought iron baluster, it is advisable to leave a space no larger than 152 mm. All options are reviewed and it is time to select and self-install. 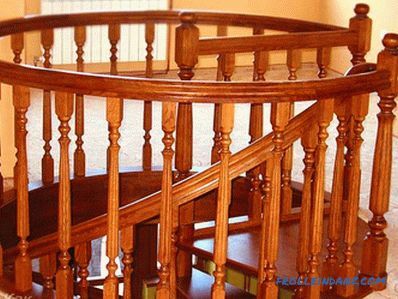 You know all the rules of fastening and can choose the appropriate version of balusters for the stairs in your house. If you have already engaged in the construction of stairs and know some features of fastening balusters, share your knowledge with us, leaving comments on the article. wooden spiral staircase with your own hands. 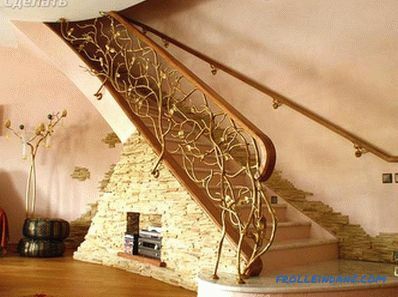 We offer to watch a video about self-installation of balusters on the stairs.